The peninsula of Cap de Creus, just 30 miles south of the French border constitutes the last buttress of the Pyrenees where the mountains meet the sea and the most easterly point of the Iberian Peninsula. This stunning cape, carved by the elements into sweeping valleys and towering cliffs makes the coastline a smuggler's paradise of shimmering shallow coves and azure harbours. The Cap is the first Natural Park in Catalunya that encompasses both land and sea and, including all the islands and islets around it, it's one of the largest protected reserves in Spain. It's also the most uninhabited area in the Spanish Mediterranean, so on our walks you really will find complete tranquillity beyond the coastal villages. This eight-night, self-guided walking holiday begins and ends in the pretty inland village of Garriguella. Once you commence walking around the peninsula, the sea is your constant companion, offering magical views from the high walking trails that lead you through the reserve. The Natural Park protects cork oak, pine woods, bright orange prickly pear, vineyards and terraces of olive groves, all surrounded by magnificent coastal cliffs where shearwaters and swifts wheel on the breeze. Your family-run hotels are perfectly situated, with three out of four on the beach. The Vilamont Spa, with pool, sits on the church square in a pretty village and the Porto Cristo is set just back from the sea, with meals enjoyed in the hotel's seafront restaurant. 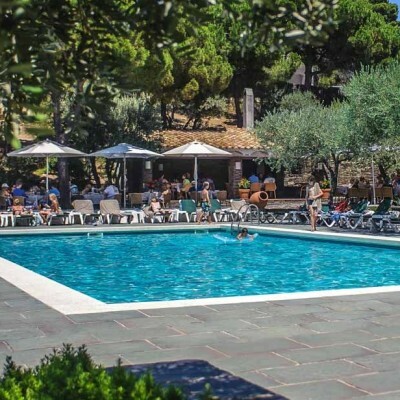 At the sea-front Hotel Playa Sol, in the chic and arty harbour of Cadaques, there are swimming opportunities aplenty and the Almadraba Park is a spectacular cliff-top hotel overlooking the Bay of Roses, with a panoramic swimming pool and steps to the beach. Walks on this holiday are mainly on country paths and tracks. Some sections are rocky and uneven so good supportive footwear is essential, and walking poles recommended. Explore the pretty streets of Garriguella before your evening meal. After a 10-minute transfer to Pau, enjoy panoramic coastal views south as you ascend to Sant Onofre, a rocky C14 chapel clinging to the hillside, then crest the peninsula at Castell de Sant Salvador, once a refuge from pirates and now a sunkissed crumbling ruin in a perfect spot for picnics! Descend past the C13 Sant Pere de Rodes abbey, before the Vall river leads to the sea. Dine on the waterfront overlooking the picturesque natural harbour. Perhaps use the hotel spa today (payable locally) or stroll along the waterfront; this is the only working harbour on the peninsula, where fishermen still land their catch. We also include directions for a 10.5km or 12.5km walk to the peaceful mediaeval village of la Selva de Mar, where you can enjoy a shady lunch in one of the terrace cafes, and some lovely views over the vines. Heading east, you walk through the heart of the Natural Park where neptune grass, shy orchids and bright yellow saxifrage cover the hillsides. Evidence of ancient settlements in the shape of dolmens appear at Cista dels Bufadors along the trail, before the white houses of Cadaques appear below you. 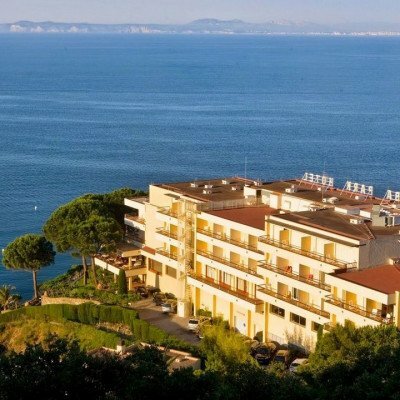 it's a short stroll along the harbour to your hotel, complete with pool and private beach. Salvador Dali lived a short walk from Cadaques, and you can make an appointment to visit his quirky house if you wish. The pretty harbour, perfect light and relaxing atmosphere has made Cadaques popular with artists for decades; many art galleries and curio shops line the waterfront, and the narrow alleyways behind are packed with chic restaurants and bars. Leaving Cadaques, you pass a rocky lighthouse outcrop and follow the southern edge of the peninsula, passing below Puig de sa Cruilla. The second half of the walk is all along the seashore, passing a plethora of pretty coves and bays, perfect for relaxing or swimming. It will be hard to leave the hotel today; its location is so perfect! Set just above a sheltered beach, with access via steps, it has tennis courts and landscaped gardens shaded by tall pines, not to mention a pool with 180Â°ree; views and a tempting poolside bar. if you do explore, the centre of Roses has the remains of the C16 Trinitat Castle, a star-shaped redoubt, and the ruined ciutadela, an impressive fortress from Greek and Roman times embellished by Carlos V in the C16. You ascend from Roses to a natural balcony, the Pla de les Gates, passing a clutch of dolmens in la Muntanyeta. After descending to the verdant plain below, your walk then takes you on country tracks through apple orchards and sunflower fields, with the high Muntanyes de Verdera as a backdrop, and ends in the wine village of Mas Palou. From here we transfer you (15 minutes) to your hotel in nearby Garriguella. 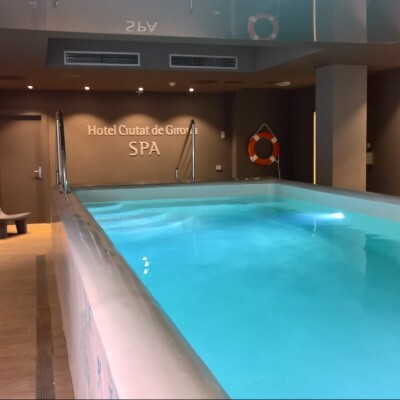 The Hotel Spa Vilamont is in a very recently refurbished building in the church square in the centre of Garriguella. 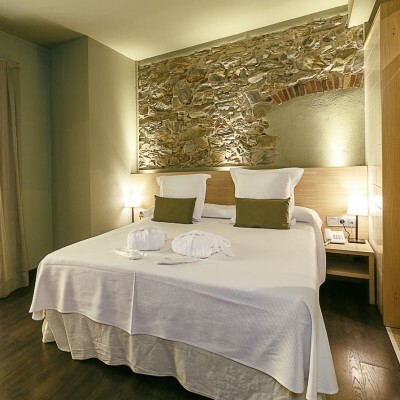 Run by Teresa Vila Ribera and her welcoming staff, the bedrooms are charming with exposed stone walls, all very modern and recently refurbished with en suite facilities. Particularly attractive is the basement indoor pool and spa area where you can relax after a good walk. (It is also possible to arrange spa treatments and massages on request). 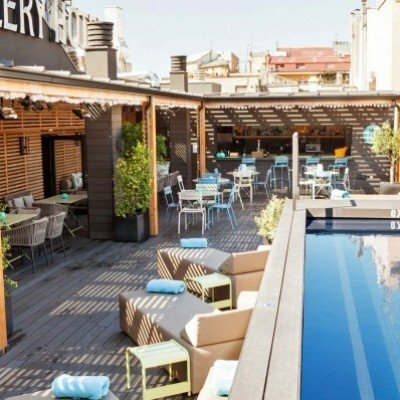 It is the perfect spot to stay in the heart of this typical Catalan village. The Verges family own the 50 room Porto Cristo Hotel, which is set back from the beach by around 50m in the fishing port of Porto de la Selva. The standard comfort rooms are spacious and very comfortable with high ceilings, cedar wood furniture and marble floors, and masses of art work line the spot lit corridors. Evening meals are taken in a seafront restaurant also owned by the family just 150m away so you can have dinner with a view of the harbour, where brass cannons from the C18 point out to sea. The hotel also has a rooftop lounge with mountain views, and a state of the art Jacuzzi and spa. Superior rooms have a king size bed and a round bathtub in the bathroom and are larger with a seating area. The Playa Sol, owned by the Llado family, could not be closer to the sea. In fact, it has a beach immediately opposite the front door so in the morning you can step out the front for a swim in the sea, or use the back door for a swim in the pool, set in landscaped gardens. 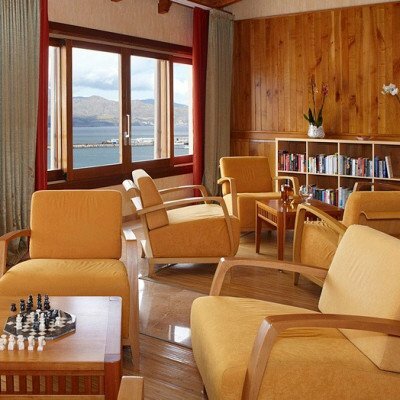 The 48 rooms inside are comfortable without being showy, half facing the harbour and half facing the gardens. It is a lovely waterfront stroll to the centre of Cadaques (about 10 minutes), and there are many restaurants to choose from for dinner. The hotel also has a steam room, jacuzzi and tennis court. Room upgrades: Double Room Garden View or Double Room Sea View. Garden view rooms have a balcony and are for 2 people with the possibility of adding another bed. Sea view rooms also have a balcony or a large terrace (except 3 with a window) and are for 2 or 3 people (there are also 2 rooms for 4 people). Owned by the Subiros family, the Almadraba Park is in an enviable location. Set above the Bay of Roses with steps down to the beach, it has a fabulous panoramic swimming pool and the most perfect cocktail lawn for pre-dinner drinks with 180 degree views. The modern building has spacious rooms simply presented, each of them with a balcony. Great care is taken with customer service and Senor Subiros often greets his guests in the evening before dinner. There is also a tennis court if you feel energetic! The suite is double the size of a standard room with a seating area and coastal/bay views. Transfers included from Gerona train station at 16:18 (16:58 on Saturdays), and back to Gerona train station at 11:45. We really enjoyed our holiday. We could not fault the service received at any of the hotels and the driver Fransisco was very helpful. Due to the heat we found some of the walks a bit challenging but the scenery is stunning. We were able to get into the sea at the end of a couple of the walks which was very welcoming. We used the pool at Vilamont Spa. Salvador Dali's house was very interesting and worth the visit. On the last day we had time to go to the tortoise sanctuary which if one has the time is worth the visit. As with all Headwater Holidays experienced so far the Catalan Coastal Walk was a great experience,. The walking was challenging but the notes provided were meticulous and at the end of each day it was a joy to experience the comfortable, characterful hotels in interesting locations. I can't fault Headwater's meticulous arrangements. Catalan Coastal Walk has it all: wonderful walks, stunning scenery and fabulous hotels - one of the best! The Catalan Coastal Walk holiday was really good, with interesting walks, stunning scenery, pleasant accommodation and great food. We would certainly return to a couple of the destinations we visited on the way. The walking was not too onerous and we were normally quicker than the expected time to be taken, even without rushing. The hotels were all welcoming and comfortable, with a discernible rising in quality of accommodation from one location to the next. The taxi arrangements were superb, with our driver, Fransisco, always early, cheerful and helpful. However, there are always some bug-bears, but these are merely small tweaks that could have made our personal experience better. Mainly, the notes were not to our taste and often needed re-reading, others may find differently. Also the location of the first and last night's accommodation, although nice enough, seems to be at odds with the holiday's overall description of 'coastal'. Thank you for taking the time to write in with your post-holiday feedback. It was great to read you had an enjoyable holiday overall. We were however sorry to read, that you found issues with some of the route notes. Please be assured we check all of the routes and notes seasonally. We will keep your feedback in mind when we do our next update. In closing, we would like to thank you for choosing Headwater for your summer holiday; we look forward to welcoming you on another of our holidays in the future. The Catalan coastal walk is challenging in parts, particularly when the weather is hot, but it is spectacular and the route notes were great (with one or two exceptions, see below) The hotels were all quite different, each lovely in its own way and the restaurants that were pre-booked offered varied and interesting menus.I would thoroughly recommend the holiday. Last year we walked in the Venito and we think the walks and accommodation in Catalonya are even better than those last year. We enjoyed our holiday however I must point out certain issues. The notes on page 3 of your Catalunya brochure are unclear - you have tried include notes for several holidays in one go using commas which results in it making little sense. In the first two lines you do not make it clear that you are talking about two different stations (Airport Terminus and Passeig de Garcia). I think you should investigate alternatives to having to wait at Passeig de Garcia station - it is busy, hot, no facilities, you are not allowed out of the station and we waited one and a half hours for the train. I think you should also give more information as to where to get off, it was luck we spotted the Viajuiga sign and managed to scramble off the train. Trail notes badly written and in parts not clear, there were two instances of them being totally wrong. Page 23 2nd para arriving at junction we could not understand which path to take so opted for the road route which says follow to Cala Joncois NO just the opposite is correct. Page 25 second column 3rd para on reaching T junction turn right NO turn left and at next T junction turn right. There are no road signs to help you. Definitely a two--boot walk, especially the day to Almadabra Park hotel, which was the longest and had some quite hazardous sections on the coast path.We were in late May and had some disappointing weather, and there was no question of swimming in pools or on beaches. Hotels were good, although the dinners at the Monterey/Porto Christo were poor - dinners and breakfasts at other hotels and restaurants were good. Francisco our taxi driver did the job OK but he speaks only Catalan and a little French. Excellent holiday. Be sure to carefully check the travel details if you have requested any changes or non-standard arrangements. Jim and Katie Illingworth, the Headwater reps, were absolutely fantastic - the best we have ever had; from the postcard we received a few days before our trip to their solicitous and detailed advice about the routes, the travel arrangements and thoughtful attention to detail e.g. Katie suggested that we buy a multi pack of bottled water which could be transported with our luggage every day. In addition as we experienced a heatwave during our trip, they suggested ways of shortening the walks to make them more manageable. They also recommended excellent restaurants when an evening meal was not included giving us lots of choices. Francisco, the taxi driver who transported the bags (and us on some days as it was so hot and we didn't want to walk) was delightful despite his lack of English and our lack of Spanish! Wonderful variety of walks and scenery with comfortable hotels and good food. Met our needs brilliantly. Superb scenery. High level of service and comfort. Fantastic walking area if you like wild, remote stony terrain. Incredibly windy at times and also challenging steep downhill sections if these are not your forte! Superb coastal and inland scenery. Great to have suggested walks for free days especially as the weather wasn't really good enough for swimming and relaxing. The local taxi driver was great, carrying on the luggage and when we finished the last day's walking early we phoned him and he picked us up. He also helped us sort out an earlier train to Barcelona. We had the same reps in Tuscany last year and once again they were brilliant, providing extra route notes and e mailing changes. The initial briefing by phone worked well and we were delighted when they joined us for our last evening meal. They really go the extra mile to make things go smoothly. The hotels were all excellent and we liked the variety in the evening meal arrangement. Adding on 2 nights in Barcelona was the icing on the cake. The hotel there was of a lower standard, a very small room,but we did expect an ensuite room and not one with a bathroom down the corridor. We would have liked to have known this in advance and been given the chance to upgrade. Overall, a memorable holiday! Enjoyed the whole holiday. Walking and hotels were great and the scenery was fantastic. Enjoyed barcelona and the trip to the Dali House. Overall a good variety of experiences in the time. Couldn't fault it. Even the weather was excellent. Looking forward to next year's brochure. We enjoyed the rest days and some parts of the walks were very enjoyable with spectacular landscapes. However, overall we felt that the holiday was not exactly as described. It is called a 'Coastal Walk' but it is, in fact, rather a tough mountain hike as the walks focus inland in dry arid and often rather inhospitable terrain. The holiday description states 'once you begin walking clockwise around the peninsula, the sea is your constant companion'. The sea is not your constant companion, as for the most part, it is far off and out of sight. There are no villages at all (bar one small one just before El Porta de la Salva) on the walks, pretty,'cute as a button' or otherwise. A lot of people would enjoy this but it could be clearer in the holiday description. A lot of the climbs and descents are steep and rocky and in one place you do have to do a small bit of rock climbing. The trails are often on loose rocks and stones and narrow.There is quite a lot of scrabbling required. I think this should have been flagged in the holiday description with better photos. I would have rated the holiday difficulty at least as a '2 boot +.' Cadaques is certainly the highlight but all the hotels were excellent and welcoming. Recommend the restaurant 'Can Rafa' in Cadaques. For us aged 79 and 74 the walks were challenging but we very much enjoyed our holiday in a beautiful area of Spain. Does what it says in the brochure - 7 days of interesting sights without using cars or trains - organisation during walk flawless. Excellent walking with fantastic scenery. All accommodation of high standard. Walking definitely 2 boot. Headwater holidays always live up to the descriptions in the brochure. Well planned walks, mainly excellent food and accomodation. We had a great holiday. Well done Headwater. Well chosen area for walking.Very good self guiding notes and helpful and efficient rep.Excellent choice and standard of hotel. Just everythig we expected of Headwater. Thank you. use headwater and plan a holiday to fit your needs and wishes. Excellent walks but in places were much more demanding than 'leisurely.' Good mix of hotels. Generally good food. Roses was very much at the Costa Brava end of holidays but the rest was good. It was a bit disappointing to find so many extra costs - the train from Barcelona to Garriguella & back - the �59 for a relatively short taxi ride from Garriguella to Figueras for the train home (although the taxi people - Francisco & Maria - were very reliable). With a few exceptions the guidance notes were reliable - the optional walk at El Port de la Selva had loads of mistakes - I have pointed this out to the rep. Overall though it was a good experience & I would recommend it. The Catalan Cooastal Walk guides you through an area of outstanding beauty which remains unspoilt by tourism. Although we enjoyed the walking we found some of it challenging, and yet we are quite active walkers. It is not what we expected as a leisurely classification. But the whole area was beautiful and enjoyable. Excellent holiday. Walking notes by Alan were excellent and to a point that a map was unnecessary. Every two days from 25th Apr 2019 to 6th Oct 2019, for 8 nights. All dates are subject to availability, please contact us to check. Due to the tailor-made nature of our holidays, we need a little more information in order for us to check availability for Catalan Coastal Walk. Simply complete the form below and a member of our sales team will contact you (when it's most convenient for you) to provide availability information, travel options and an accurate price. Of course there's no obligation, but if you do wish to proceed with a booking they will be on-hand to assist you throughout the process.